Cancellieri’s new album 46 and Raleigh, due out July 17 via Post Echo, is named after a pair of cross streets in Denver, but the name resonates with the Southeast. Since releasing his debut full length Welcome to Mt. Pleasant last year, Cancellieri (the nom de plume for Ryan Hutchens music) has spent most of his time on the road and in Colorado. It’s the places he’s lived and traveled that have so much influence on his music. Whether it’s his background in the South that make him inherently closer to the Gospel and Appalachian born covers on this new album, or the titles of the albums themselves, Hutchens sets his roots when he writes. Known mostly for his solo work, and creating haunting and delicate soundscapes out of his Americana stylings, Cancellieri’s debut full length was heavily influenced by the Columbia musicians who played on the record such as the bass playing of Cam Powell ( Dear Blanca), the drumming of Michael Crawford (ET Anderson), and Alex McCollum (Stagbriar) who both played guitar on the album and recorded it. It was more of a step sideways for Hutchens, and the album came out beautifully. Delicate and haunting like a William Fitzsimmons record, but edging more towards Band of Horses lyrically and in pace. 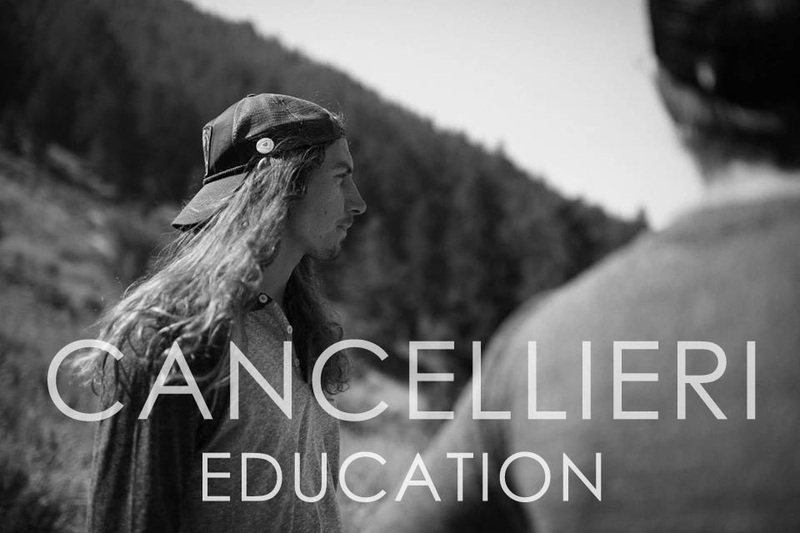 With the new single “Education” Cancellieri keeps things simple, with his traditional finger picked stylings on guitar, doused with vocal layers and reverberating background guitar parts. We’re excited to hear the new avenues Hutchens explores and expands on with the new album. Previous Entry Jim Adkins leaves the band at home for a solo tour, making a stop in Columbia on Thursday.